ride buses and trains, but book tickets over a month in advance. visit their hometown and elders (usually those on the father's side of the family) up to a month before the actual Chuseok. escape Korea and go on vacation elsewhere. Other times, the elders (i.e. : your parents) may visit you instead, especially if you are a busy working professional. The one with more time and energy may visit the other. Traffic. Some things just don’t change. Perhaps only accentuated over time. Even the lines for trains and buses are no joke! Traffic has become a huge part of Chuseok. However, let's focus on tradition and origin. Charye (차례): various Korean foods are prepared and placed on a table, along with piles of fresh fruit. Arranged in a specific order, the food is offered to the ancestors, whose spirits are thought to protect the living. Beolcho (벌초): families visit their ancestral graves, pulling out weeds and trimming the grass. Seongmyo (성묘): at the grave site, family members take turns bowing to their ancestors. As the population of Christians increase in Korea, these ancestral rites are less observed due to religious beliefs. In celebration of an abundant harvest, food and entertainment are aplenty! The women in the household would gather and make songpyeon (송편), half-moon shaped rice cakes filled with sweet to semi-sweet ingredients. These days though, modern Koreans tend to buy them from the market. It saves a lot of time, money and energy! However it does make me sad that our tradition is gradually dying out. Perhaps one day we'll find ourselves with more resources for songpyeon-makery for it become common practice again. 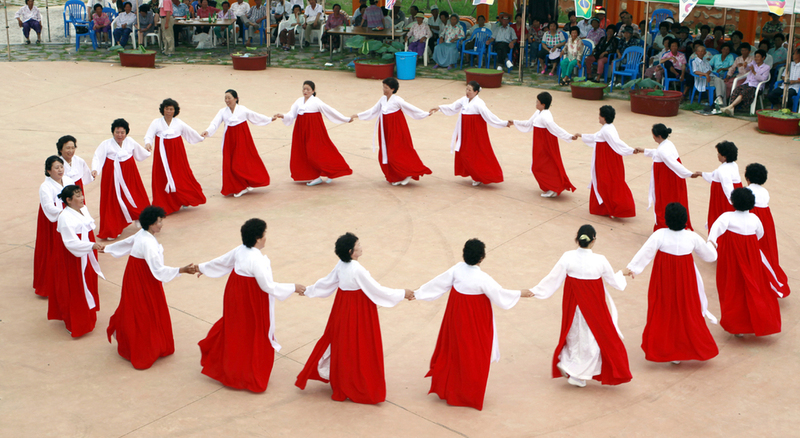 Traditionally, women would hold hands and do the ganggangsullae (강강술래). They would dance in a big circle under the full moon. What do the men do? Ssireum. Korean wrestling. The sport had its heyday back in the Joseon Dynasty. The ultimate winner would receive an ox. In an agricultural community, that's one of the best prizes anyone can get! I would wrestle to win an year's supply of homemade kimchi. Games vary with each region. Modern Koreans though tend to stay in their Western clothes and have the television running in the background as family members chitchat. Boys may hang out with their buddies at the PC bang. Girls may drag their parents to take them to karaoke. The level of celebration varies with each family. 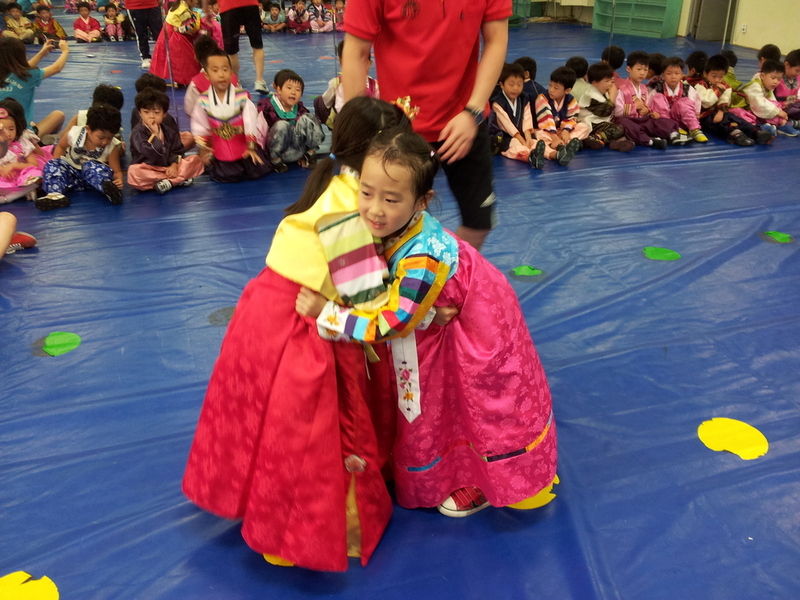 Some may stick to the traditions of Chuseok while others go on vacation. Who cares what anyone else does? Let's go party it up! Historic sites and amusement parks in Seoul are likely to be open, so check their calendars to join in on any festivities.